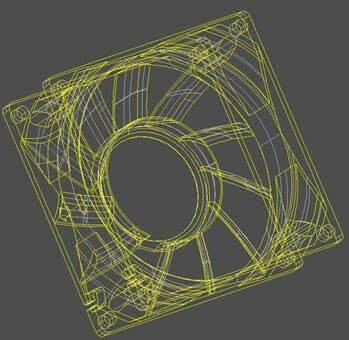 YS Tech USA Announces Low Noise Model Cooling Fans. It’s been a tad over TWO years since we’ve discussed low noise (quite!) YS Tech cooling fan models. Guess what we’re going to discuss today .. THAT’S RIGHT, YS Tech low noise fan models! Back in November of 2013 we announced three forthcoming fan models under development for Low Noise characteristics. [ see this Blog here: https://www.ystechusa.com/blog/low-noise-models/ ]. The models mentioned then were: NYW040100, YW0402001, NYW050100. Since then, having developed those models, we ALSO developed Low Noise models for: YW06025, EYW08025, YW09225, KM12025. A good selection, if I do say so myself! These are all sleeve bearing fans, with the YS Tech model having the Sintetico bearing! [ go Here: https://www.ystechusa.com/blog/sintetico-ii/ for the discussion about this bearing system]. Competition 1 is a popular Asian fan manufacturer, and Competition 2 is the most popular European fan manufacturer. As you can see, YS Tech is right in there with the big dogs and depending on system design and requirements could easily be chosen over the competition. In another example, the YS Tech model 40x20mm has just the Asian Competition 1 as a rival, with the European Competition 2 a no show. We have some stiff competition on this model for the noise factor, but if the other parameters are equally important, YS Tech will again offer your customers a real choice of functions. The other five YS Tech models are similar to the two already mentioned. The competition may or may not offer a competitive model, and if they do the YS Tech offering has other critical parameters which can win YOU the business! You cooling fan experts have probably already thought of this, but I’ll briefly mention it anyway. That being, YS Tech has SEVEN Low Noise model offerings – as many as any other major cooling fan manufacturer – and a BUNCH more than most! To review these Low Noise models, go to your 2014 Product Guide and find the lowest RPM models, they usually have the Sintetico [or “L”] bearing system. If longevity is a major concern, then the 2-ball bearing system is also available in all models. In the case of the 60x25mm & 80x25mm models, 2-ball is exclusive. Review: 2-ball bearing systems are more expensive that either the Sleeve or Sintetico systems, it all comes down to exactly what your customers need and what they can live without! Seems to me this is reason enough to schedule customer visits before the new year, driving home with them … YS Tech is a major player in the Low Noise requirement world so often seen these days. And don’t forget, YS Tech likes to develop specific-need models for customers! Bring in those requests and let’s discuss them.